Occasionally tax preparation software, such as TurboTax, will indicate that you need a corrected W-2 due to having too much social security tax withheld. 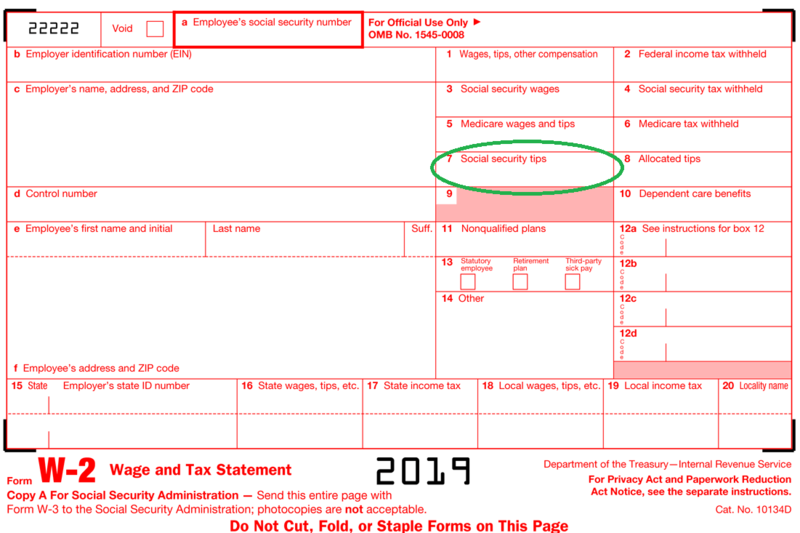 Before you request a corrected W-2 or get upset with your employer, please make sure you have correctly input all information from your W-2, especially from Box 7: Social Security Tips. Tips are reported with other wages and income in the following boxes: Box 1: Federal Wages, Tips, Other Compensation; Box 5: Medicare Wages and Tips; and Box 16: State Wages and Tips. However, for social security, these are broken out into two distinct boxes. This stems from other reporting requirements related to tips. It is easy to skip over this box as we field numerous calls from employees each year who are upset at being over-taxed. It can happen to the best of us, so please take a second look at your entry before you call. If you still have questions about your W-2, please contact your employer. Unfortunately, due to the sensitive and confidential nature of the information, ASAP cannot release or discuss payroll matters with anyone who is not an authorized employer contact, but your employer can relay your questions to us to review.